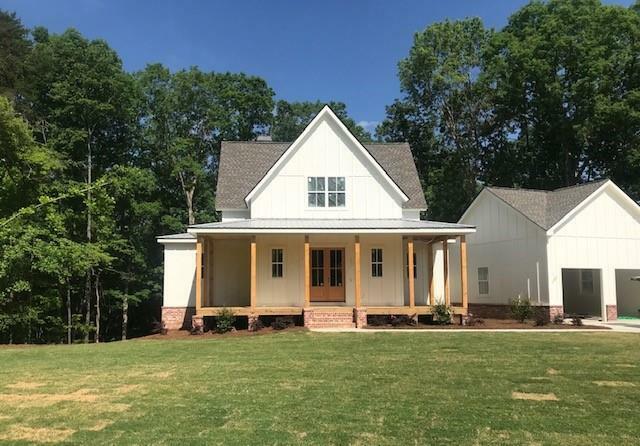 Gorgeous Modern Farmhouse New Construction in Ball Ground!! 2+ Acre lot; Four Gables House plan; This Quality Construction Two Story plan is open with all the high end finishes included; upgraded lighting; Quartz/granite counter tops; Larger secondary bedrooms upstairs; Backyard is perfect for a pool; Full daylight basement; Highly desired schools!! A representative from Metro Brokers has received your request to visit 283 Laurel Ridge Lane on at .